This annual Free Open Source Developer European Meeting is a hub for close to ten thousand hackers, open source enthusiasts and programmers discussing, hacking and showcasing everything Open Source related! 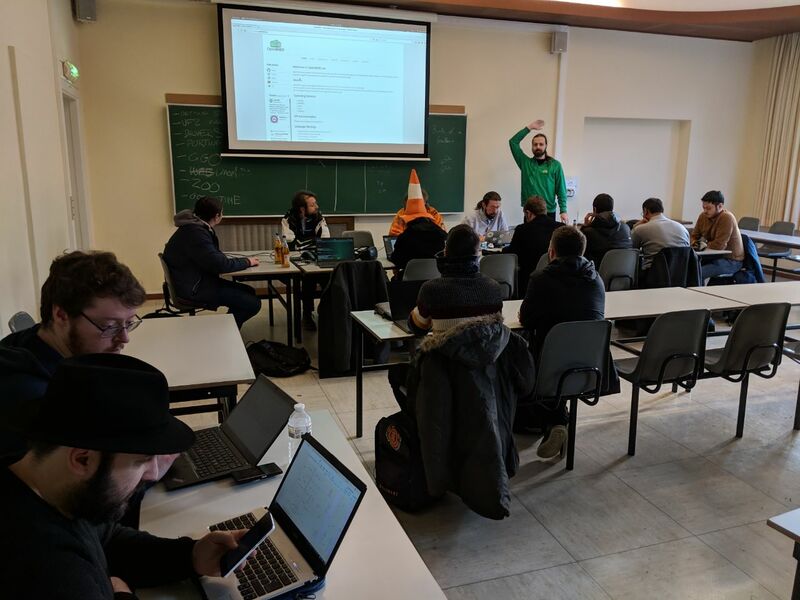 In 2017 we were lucky to be able to get together on FOSDEM during our first BoF (“Birds of a feather”) session and really get the OpenHMD community moving. This year, we were lucky to try again and succeeded! A lot of new people joined our session and had various backgrounds and interest in the project. Discussing the current state of the project and having a open discussion about Open Source VR in general and how to proceed in general, there are a couple key points that were apparent. Thanks to everyone dropping by or saying hi on the conference! Here is a generic overview of some things discussed. So it all started with a conversation in #godotengine, the guys were planning to go to the Kieler Open Source und Linux Tage and since Bastiaan recently implemented OpenHMD support in Godot, we thought it would be the best opportunity to tag along and do a shared booth! We arranged our travel, got a place to stay at one of the locals (Thanks Stefan! it was much fun!) and started packing. We wanted to show off recent work, so we build a demo using the Oculus DK2 and the NOLO for room scale and controllers with the dev branch of Godot 3.0. After a week of on and off scene building, I went on with my brother Yngwie towards Kiel by plane (over Hamburg). Of course after some delays and some confusing German train-rides we arrived and found a great location which accurately depicts the German Linux community as I know them (with course on the Friday evening the Grill and beers were setup and a good time was had). With pH5 already waiting for us, together with the Godot guys we setup a nice presentation and hacking area to show off what we have been up to. Today we have uploaded our experimental Unity Plugin! It is basic, and it lacks things like our Universal Shader system, but its a good step! Based on the .NET bindings by https://github.com/jurrien-fakkeldij/OpenHMD.NET and a bit of tinkering, we made a good base for implementing Multi Platform VR support in Unity. While technically able to support every platform OpenHMD supports, the first implementation is implemented for Windows 64-Bit and Linux 64-Bit, this due OpenHMD.NET not supporting Mac yet. If you want to give Mac support a whirl, feel free to help out on the OpenHMD.NET bindings and extend the current system. 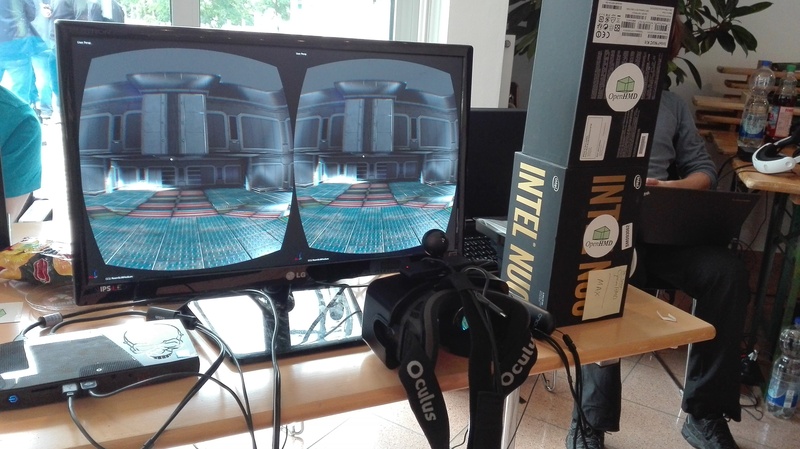 We chose to implement using their existing stereo pipeline using their Split Stereo Display hooks in their VR pipeline. This method is used by Unity developers themselves to debug external HMD libraries and should be relatively optimized. 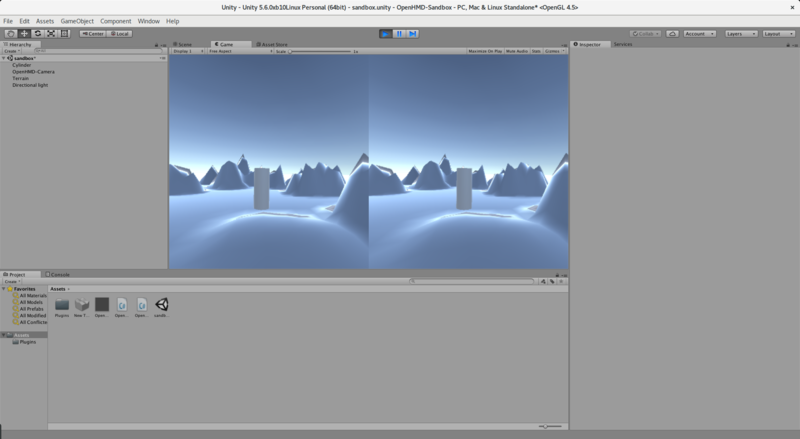 After some cleanup and testing , the Unity project will be uploaded as well to a Github repository. Contributions are of course welcome, for now feel free to shout at me through my Email, Or join us at our IRC. It took a bit of planning, but we finally have a new website! This allows us to centralize our information, write blog posts, and show off projects easier! We will slowly add project members to the website, allowing others to write up blog posts. Our Device page is hooked up to the Github wiki to allow for the fastest up to date information regarding device support. Over the next couple of weeks we will make small tweaks to the website, if you encounter any errors, please contact us through the contact page, or drop by on irc.freenode.net #openhmd.